My husbands parents retired to France a few years ago and after visiting their old farmhouse and spending time looking around the Charante and West Coast areas, I fell in love with the French style and way of life. Having studied decorative textiles at uni myself and my Father in law who has been a carpenter joiner for most of his life, I knew that creating fun and decorative products for the home was what I had to do. 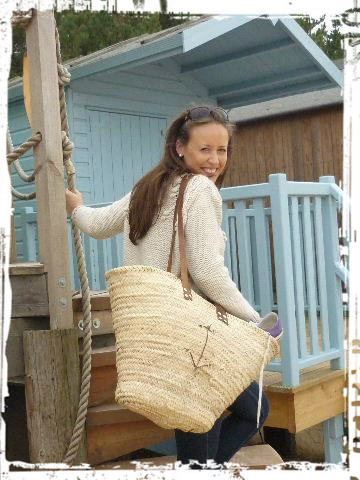 Wood & Rope is now a family business based in the UK with all our wooden items made in France and finished in the UK. Thank you Caroline 🙂 you’ve made my day! Thank you for following me so I could find you! I’m in love already, I will never get bored of nautical 😀 I have a massive craving for the beach now. Hi there Jo! Well you must be extra versatile because I’m nominating you for your second Versatile Blogger award! 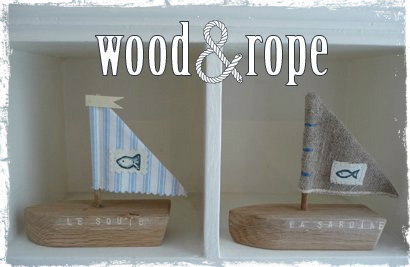 Your blog is really a joy to read, & I’m always inspired by your nautical creations. Wonderful job! You can see more of my work (I love nautical things too as you can see..) at http://www.ravelstudio.com. Thank you for following my blog, I’m following you, too! My daughter-in-law in from the UK! I love your very uniquely themed blog! Glad I found it! Hi Zhenya, thank you so much 🙂 I’m glad you like! Cute site! Thanks for subscribing to Nook & Sea – I’m excited to follow each other! I have nominated you for the WP Family Awards. Stop by to pick up your award. Thanks for being a part of my blogging world!